Most suburban communities located around Houston pride themselves with their small town atmosphere, but Fulshear has the privilege of being an actual small town — with big city amenities. Covering a total land area of around 10 square miles, Fulshear is one of the fastest growing communities near Houston. Located in Fort Bend County, Fulshear is relatively younger than its neighbors. Founded in 1977, it took some time before development took off in the community. Once growth started in Fulshear, however, there’s no stopping the city from progressing. As of 2014 estimates, the town has more or less 4,300 residents. Fulshear is home to great neighborhoods and a strong farm and ranch community. Business is booming in town, and home buyers are setting their sights on this charming address. The Katy-Houston area is roughly a 20-minute drive away. Fulshear is composed of smaller, established neighborhoods that cater to a wide range of lifestyles and needs. It’s typical to find communities within the town to offer a network of trails, access to green spaces, and more. 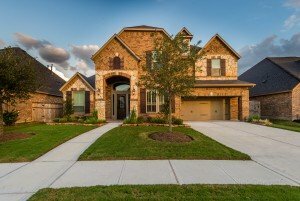 Popular master-planned communities in Fulshear include Fullbrook on Fulshear Creek, Cross Creek Ranch, Weston Lakes, Silver Lake Ranch, and Tamarron. Cross Creek Ranch incorporates the natural rolling terrain of the area, creating beautiful home sites located near miles of walking and biking trails, a fitness center, a sports park, a dog park, and a water park. Lot sizes in the area range from 2,400 square feet to over 5,000 square feet. Meanwhile, Fullbrook on Fulshear Creek offers lot sizes that range from one acre to over four acres — the perfect canvas for your dream estate or equestrian property. Like Cross Creek Ranch, Fullbrook offers access to an extensive network of recreational trails as well as various water features like ponds and lakes. Fulshear is served by two independent school districts: Lamar Consolidated ISD and Katy ISD, with the area mainly served by the following schools: Huggins Elementary, James Randolph Elementary, Foster High, and Briscoe Junior High. Most of the homes in Cross Creek Ranch are zoned to Katy ISD. Flewellen Creek Nature Preserve – Located in Cross Creek ranch, Flewellen Creek not only serves as a recreational site in Fulshear but as a much-needed infrastructure that allows the neighborhoods near the creek double their water detention capacity. Locals and visitors often go to Flewellen Creek to observe local nature and wildlife all throughout the year. Meadowbrook Farms Golf Club – Located a couple of miles away from Fulshear, Meadowbrook Farms in Katy boasts par-72 golf course designed by renowned designer Greg Norman. Meadowbrook Farms’ golf course comes complete with generous sod-wall bunkers and well-placed white sand and greens. Golf enthusiasts keep going back to the Greg Norman-designed course for its GN-1 tees, fairways, and roughs. There’s more to Fulshear than small town charm and lovely neighborhoods. 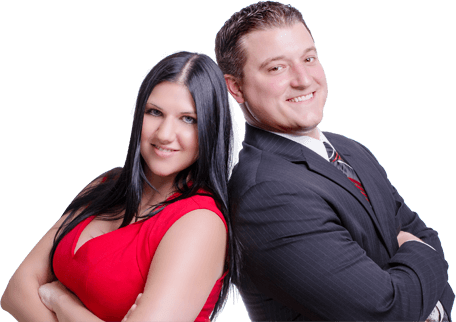 For more information about Fulshear, including your real estate options in town, don’t hesitate to contact us here. We look forward to hearing from you!